Your one-stop shop for discount furniture, home furnishings, used appliances, and unique merchandise! Our ReStores are Habitat thrift stores. 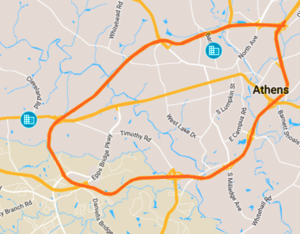 Athens Habitat operates 2 thrift stores – ReStore West and ReStore East. They take in new and used home furnishings – and sell them at up to 90% off retail cost. ReStore proceeds are used to finance more constructions and renovations in Clarke, Oconee, and Oglethorpe counties. The ReStores offer a wide selection of furniture, building supplies, home decor, appliances, books, clothing, and more. We accept cash, credit cards, and debit cards. You can drop off your donation at either location during operating hours.